Article 138 is one of the most powerful rights under the Uniform Code of Military Justice (UCMJ), but it is one of the rights least known and least used by military personnel. Under Article 138 of the UCMJ, "any member of the armed forces who believes himself (or herself) wronged by his (or her) commanding officer" may request redress. If such redress is refused, a complaint may be made, and a superior officer must "examine into the complaint." Article 138 of the Uniform Code of Military Justice (UCMJ) gives every member of the Armed Forces the right to complain that he or she was wronged by his or her commanding officer. The right even extends to those subject to the UCMJ on inactive duty for training. Within 90 days (180 days for the Air Force) of the alleged wrong, the member submits his or her complaint in writing, along with supporting evidence, to the commander alleged to have committed the wrong. There is no specific written format for an Article 138 complaint, but it should be in normal military letter format, and should clearly state that it is a complaint under the provisions of Article 138 of the Uniform Code of Military Justice. The commander receiving the complaint must promptly notify the complainant in writing whether the demand for redress is granted or denied. The reply must state the basis for denying the requested relief. The commander may consider additional evidence and must attach a copy of the additional evidence to the file. If the commander refuses to grant the requested relief, the member may submit the complaint, along with the commander's response, to any superior commissioned officer who is mandated to forward the complaint to the officer exercising General Court-Martial Convening Authority (GCMCA) over the commander being complained about. The officer may attach additional pertinent documentary evidence and comment on the availability of witnesses or evidence, but may not comment on the merits of the complaint. Special Note: Article 138 clearly states that complaints may be addressed to any superior commissioned officer. However, only the Air Force regulations allow the complainant to bypass their chain of command when filing a complaint. The Army requires that the complaint is filed with the "complainant's immediate superior commissioned officer." A complaint in the Navy or Marine Corps must be submitted "via the chain of command, including the respondent." Before reaching the general court-martial convening authority, an intermediate officer "to whom a complaint is forwarded" may "comment on the merits of the complaint, add pertinent evidentiary material to the file, and if empowered to do so grant redress." 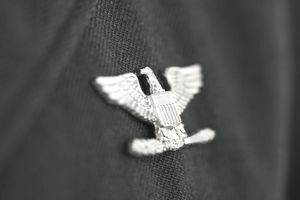 In the Air Force, the complainant may "submit the claim directly, or through any superior commissioned officer" to the general court-martial convening authority. Conduct or direct further investigation of the matter, as appropriate. Notify the complainant, in writing, of the action taken on the complaint and the reasons for such action. Refer the complainant to appropriate channels that exist specifically to address the alleged wrongs (i.e., performance reports, suspension from flying status, assessment of pecuniary liability). This referral constitutes final action. Retain two complete copies of the file and return the originals to the complainant. After taking final action, forward a copy of the complete file to the Secretary of the Service (i.e., Secretary of the Army, Secretary of the Air Force, ect. ), for final approval/disposition. The GCMCA is prohibited from delegating his or her responsibilities to act on complaints submitted pursuant to Article 138.